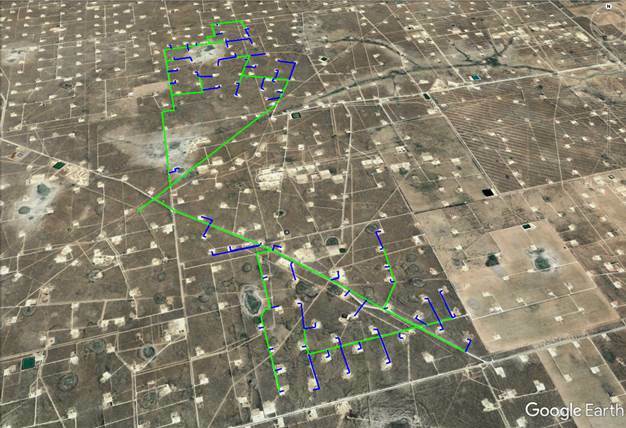 New to ProMax 5.0, the GIS Tool allows for the creation of pipeline network systems directly from GIS data. 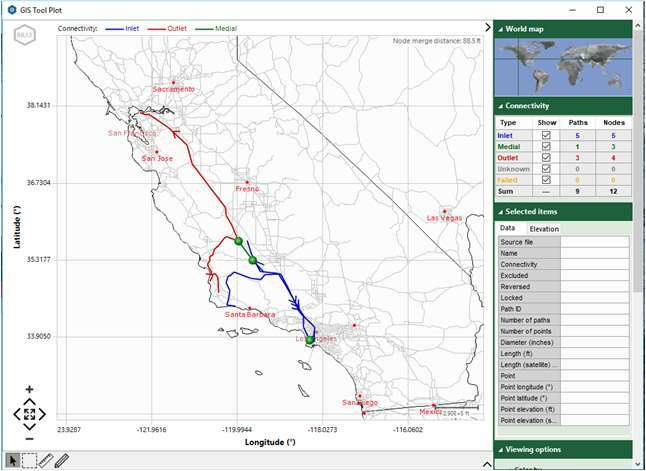 This tool will accept .kmz, .kml, .shp, or .xyz files, display the data visually on a geographic plot, and allow the user to manipulate the data to replicate the system under its current layout. From there, the tool will create a fully functioning ProMax flowsheet to represent this network and allow you to quickly add pipeline and stream information from the Flowsheet Tool. The GIS Tool button in the ProMax ribbon launches the GIS Tool interface. 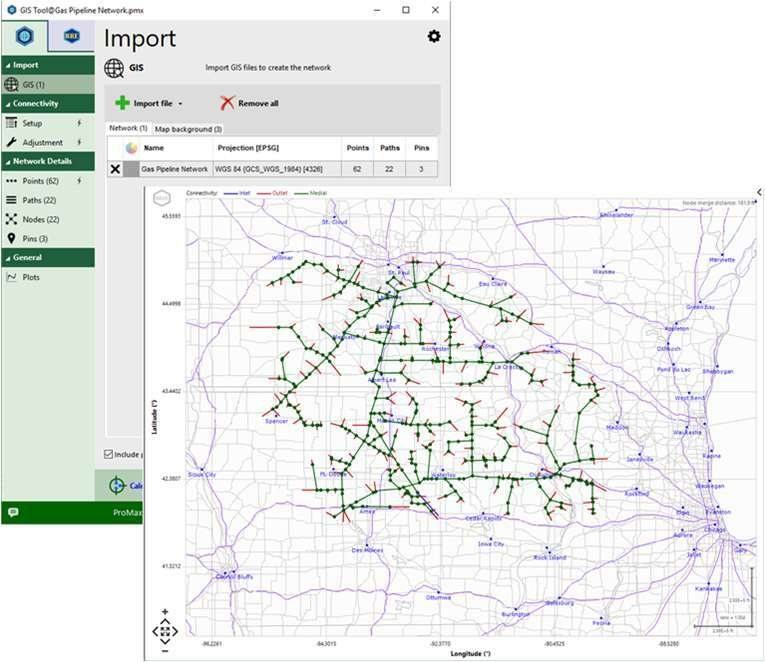 Within this window, ProMax can accept multiple GIS files, as well as background files to help reference your system to common landmarks such as lakes, rivers, highways, or EIA energy infrastructure information. The accompanying plot will update to include all information added. By simply clicking the “Create Flowsheet” button within the GIS Tool Window, a new ProMax flowsheet will be created from this information. 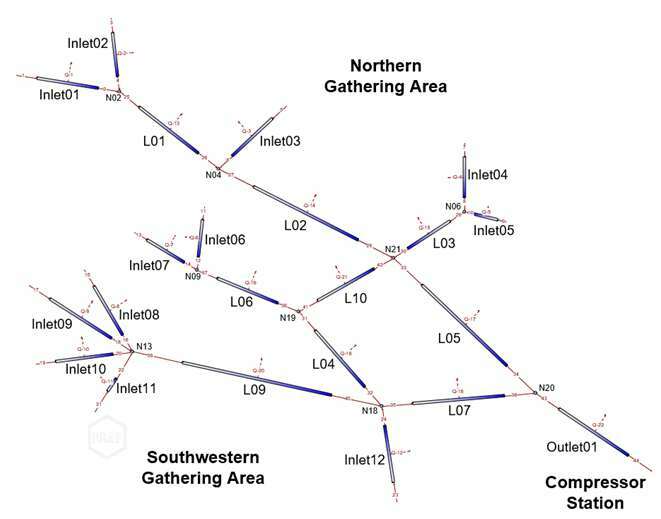 This pipeline network will retain the spatial orientation, line lengths, and elevation profiles of the original GIS file. An added benefit to ProMax 5.0 is the Flowsheet Tool. This tool, used in conjunction with the GIS Tool, allows for consolidation and easy navigation of all the inlet streams in the ProMax project. Quickly and easily adjust flow rates, pressures, temperatures and more from a convenient, single location.